Top Google Penguin Friendly Link Building Tips for 2013 | Each time Google updates its algorithm, it is adversely letting down the businesses which depend solely on SEO services. If you type your keyword in search engine and find no trace of your website in the Search Engine Result Page (SERP), then it means you have been hit severely by Google Penguin updates and you are penalized by Google! Google Penguin arms continuously watch on the sites that indulge with spam links. If you are using black-hat SEO techniques in link building for your website, then Google Penguin will never show mercy on you. Because of these adverse effects you can’t always rely on social bookmarking, directory submission and link exchange to mark your presence in this competitive SEO world. So you can help your site perform better in search engine’s search results only by sticking to the good link building strategies which are Penguin-friendly. Always remember that in this post-Penguin and Panda world, the most important requirement is to use smart link building technique as the powerful and effective weapon. 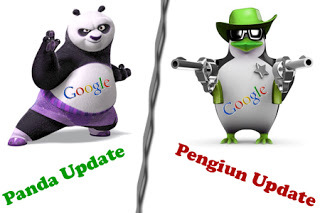 Here are a few valuable tips which not only help you to survive during Penguin updates, but also to make your site safe and to keep it alive for the long term. Focus on Link Relevancy: This plays a key role since it helps Google to determine whether the website is trustworthy in delivering accurate results and pushing out spam links. Hence, concentrate more on how your links are influenced from your entire website. Produce worthy Content: Producing link worthy content is a great way to keep your audience entertained. It is very essential in writing high quality content which people love to read and Google will obviously raise your ranking. Hence, deliver valuable high quality contents if your site wants to get recognized in the eyes of Google. Try to use keywords like ‘click here’, ‘read more’ etc. as they look more natural. Never Ignore Inner Pages: When building links, many SEO experts are making the same mistake by always linking their home pages alone. Google raises a red flag if a majority of the backlinks points only to your homepage. Hence, think logically from the search engine’s view and get links to inner pages too. Internal links are also highly significant hence made sure to structure right keywords in linking to the right pages which will make visitors and Google easier to crawl your site. Get More Social Visibility: Social signals are getting more popular than ever. Make sure to share all your posts on major social media sites like Google+, Facebook, Twitter, etc. Doesn’t feel lazy about it since there are so many tools and plugins to help you to automate this work. By doing so will not only give you credits in terms of SEO, but also helps your content to spread virally across the globe. Quit Over-Optimization: The main and foremost element that has been cracked down by Google is over-optimized for both on-page and off-page techniques. Google certainly don’t like if you are forcing your keywords or key phrase to gain Google rank. Hence, expand your anchor texts to stay natural and honest. Keep in mind the above friendly link building tips to avoid being hit by Google’s Penguin and stay loyal and healthy. About Author Jessica Pretty : I’m a 25-year old , a full time Blogger. My area of interests are Blogging, Web Designing, SEO Training , Social Media Marketing and I write about the same on my website, Zuan Education. That's an interesting post! Dos share more such posts. Looking forward to learn more from you.